Alfawise RST2056 Sonic Electric Toothbrush - WHITE EU PLUG w cenie $17.99 | Chińskie kupony rabatowe, zniżki i okazje! Informacje o dostawie: Ship between: Feb 13 – Feb 14, Estimated Shipping Time: business days Order Processing Time may require a few days. Once dispatched from warehouse, Shipping (or Delivery) Time depends on the Shipping Method. 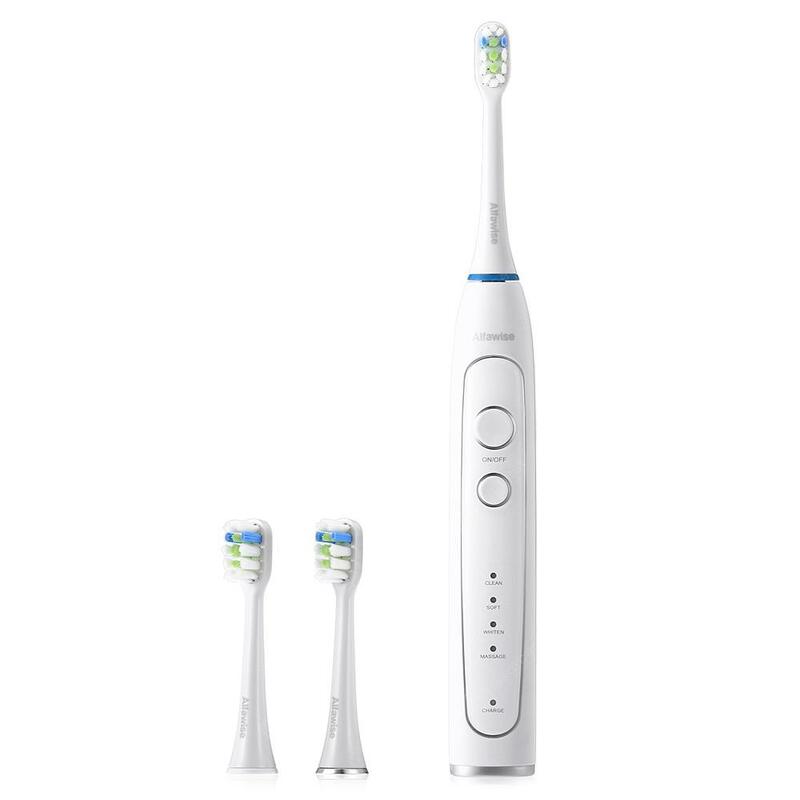 Więcej informacji o produkcie: The Alfawise RST2056 Electric Toothbrush has been carefully designed to improve the dental health for most of the people. It provides ultimate cleaning and whitening effects on your teeth. Sonic Vibrating Up To 40000 Strokes Per Minute removes the plaques and stains. Comes with 3 brush heads, it is very convenient and healthy for you to replace.